On a warm summer night in Ashland, Ohio, it was a quintessential American scene. 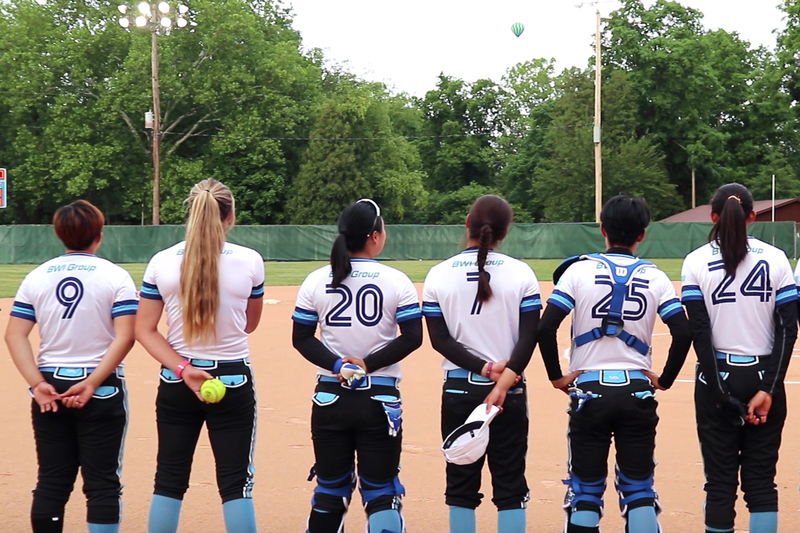 Two teams of softball players, the Eagles and the Cleveland Comets, were lined up on the field before a game while the Star Spangled Banner blared from a pair of loudspeakers behind home plate. The song ended. The crowd clapped. And then, a few seconds later, the Chinese national anthem began to play. And it wasn’t only the music that was Chinese: two-thirds of the players on the Comets’ 21-person roster were from China; their opponents, the Beijing Eagles, were nearly all Chinese; and the corporate sponsor whose logo appeared on both team’s uniforms was BWI Group, an auto parts company headquartered in Beijing. The reason, said Comets General Manager, Steve Dunn, is money. “Turning a profit is very difficult,” he said. “There’s only so many fans you can bring in a night, and that’s not going to come close to covering your expenses,” such as salaries, equipment, flights, lodging, and meals. Dunn figures it’ll add up to about $600,000 this season. But under a deal struck this past Spring with the Chinese Softball Association, he said, about $400,000 of that cost is covered. In return, the Chinese athletes get to compete with highly-skilled U.S. players, and up their game for the 2020 Olympics. Dunn said the team, which used to be called the Akron Racers until they folded earlier this year due to financial troubles, couldn’t exist without the sponsorship. Women’s professional sports generally don’t get the fanfare or media buzz of the men’s leagues, he said, which means those who manage women’s team’s often have to get creative to find revenue. “It gives us the opportunity to play ball,” Dunn said. And until women’s softball can secure better broadcast deals, more sponsors, more ticket sales, Dunn said he expects to see more teams exploring the foreign-sponsorship business model. Of course, having a bi-national team does come with challenges, like a language barrier. To help get around that, the team has two translators, who help players and coaches communicate with each other. And the players, both American and Chinese, have made an effort to pick up key phrases, said Shellie Robinson, who is the only player from last year’s Racer’s team to join the Comets. “Integrating international players into the professional league makes a lot of sense for them," said David Berri, who teaches Sports Economics at Southern Utah University. 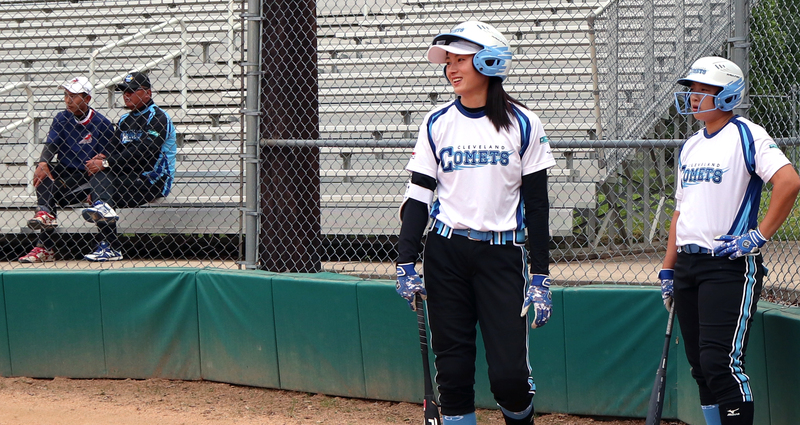 The Comets are part a 14-year-old professional league called National Pro Fastpitch, or NPF. Last season, in a deal similar to the Chinese partnership, the league’s Chicago Bandits brought on several Australian players from a team called the Aussie Spirit. Since then, the Aussie Spirit has spun off into its own NPF team, bringing the total number of teams in the league to five. The partnerships are a clever, if temporary, fix to an issue that plagues most women’s pro leagues, Berri said. While men’s leagues have had decades to build brand recognition, which begets media attention, tickets, and even government subsidies for things like new stadiums, the women’s leagues have had to fight harder for every dollar. “They’re going this route because the traditional male routes aren’t available to them,” Berri said. 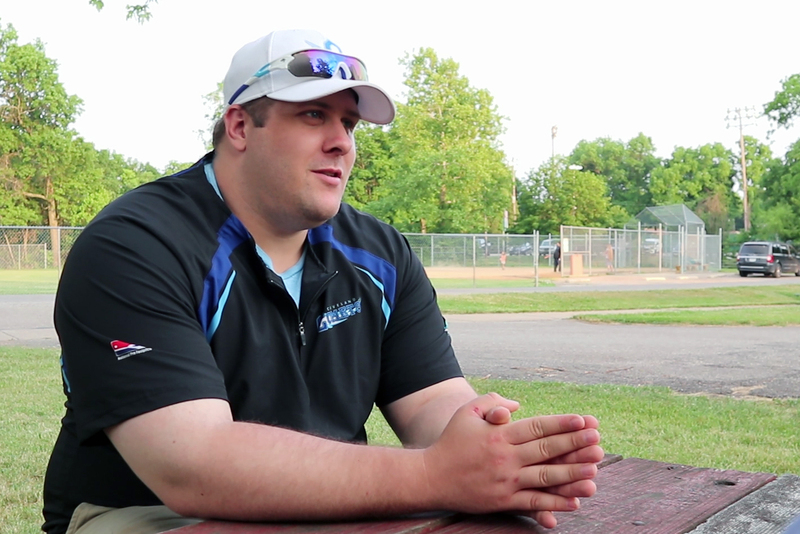 Although the Comets’ deal with the Chinese Softball Association gave the franchise a financial lifeline, it may take time for some former Akron Racers fans to get use to it. Emma’s mother, Terri Crain, said she was likewise disappointed with the game, not only because she misses the Racers, but also because the language barrier made it hard for them to interact with the team as players cheer their teammates. “We couldn’t even understand the chants,” she said. On top of that, Terri Crain said the fact that a U.S. softball team needs to look outside the country for sponsorship highlights the gender inequities in professional sports. According to the Comets’ GM Steve Dunn, who left a position in business-to-business marketing to take on the job, player salaries range between $5,000 and $12,000 for the summer season. In May, the NPF announced a deal with ESPN+ to broadcast its regular season games, which may give the league more exposure. But Dunn, who used to play baseball in college, said he is exploring other ways to bring in revenue, such as player-run softball clinics.